French Dip Reviews: 3 of 5 DeliciScore™ (Good) Awarded to The Pumphouse for their French Dip Sandwich in Bellevue, WA on this 7th day of December, 2011 - Always a solid, consistent place. 3 of 5 DeliciScore™ (Good) Awarded to The Pumphouse for their French Dip Sandwich in Bellevue, WA on this 7th day of December, 2011 - Always a solid, consistent place. 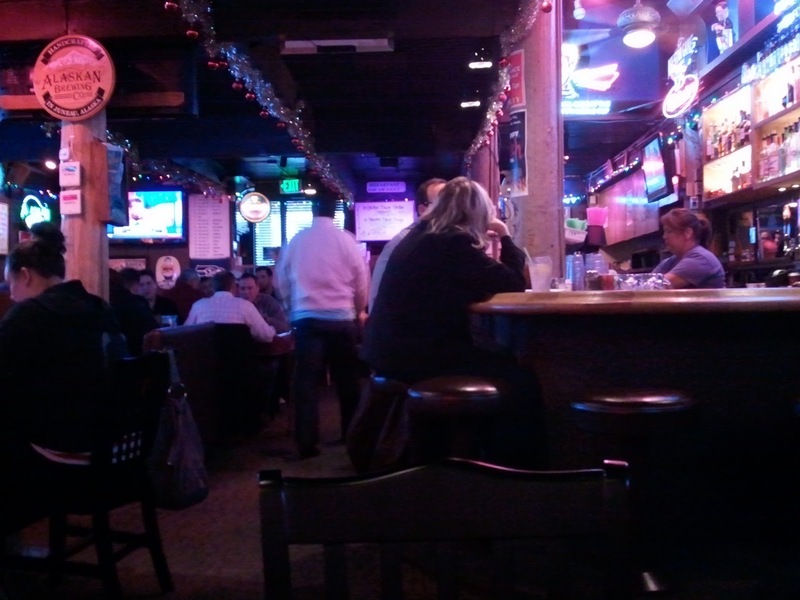 The scene from my table. The large water. Probably 25 - 30 oz. The dip. A classic. Salad and fries. 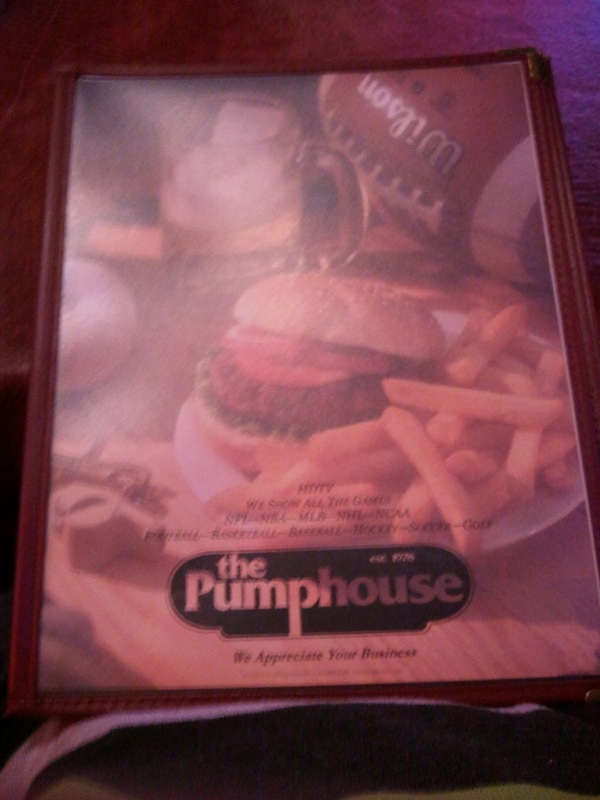 Which Meal - Lunch on a weekday with my friend Chris W.
Establishment - The Pumphouse, a nice local bar in downtown Bellevue. Establishment Type - Bar. TVs, crowded. 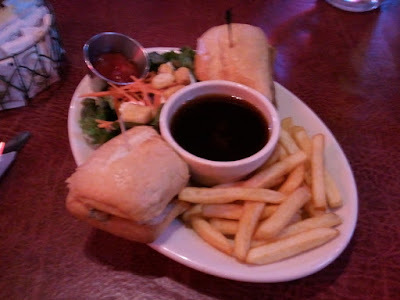 Menu Description - "French Dip Sandwich - Our fresh cooked thin sliced roast beef on a french roll with au jus or bbq sauce." Price - $10.99, includes salad and fries. 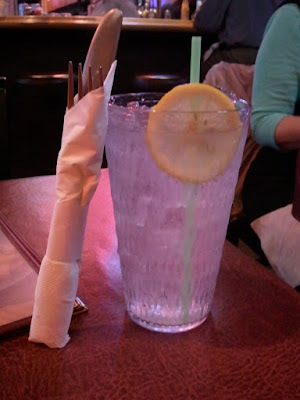 Helpfulness of Waitress - Helpful. I asked a question of whether to get the French dip (roast beef) or burger dip and she said that the French dip was "more popular". 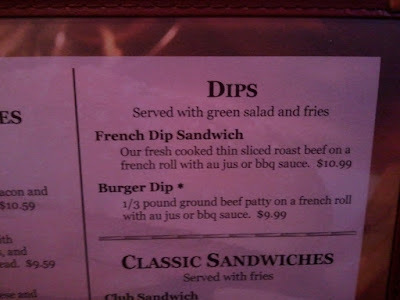 French dip it was!! Water size - Large. Bonus points!!! Sandwich size - Conservative but good enough. Meat - 3 of 5. Basic but good Roast beef. Au Jus - 4 of 5. Good au jus. Hot, dark, salty. Au Jus amount - Good. Enough au jus. Skewer Type - Fancy toothpicks. Other nice things - Lemon in water. Salad and fries included with the basic order. Salad taste - Good. Good croutons, some little carrots. Dressing - Blue cheese. Good enough. Bread - 2 of 5. A basic (but good enough French roll, store bought). Bread toasting - Slightly toasted. Other Sides (French fries) - Good enough, crunchy fries. Ketchup delivered in little metal container. Overall - 3 of 5. 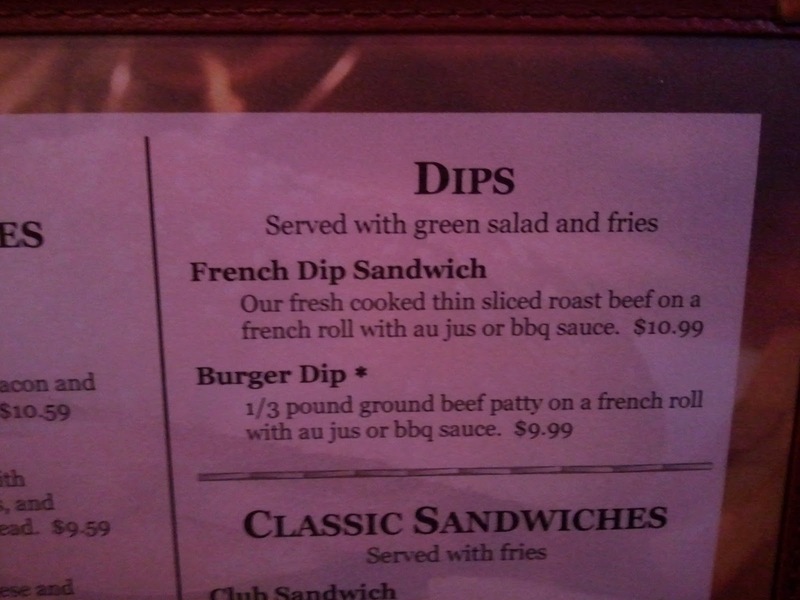 It's a pretty good basic / classic dip! 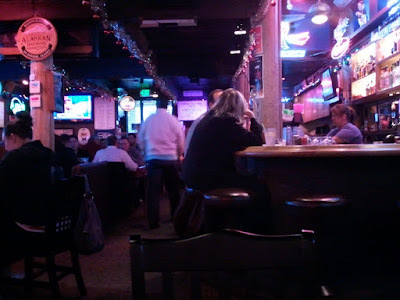 Reasons to go back - Good, crowded place with good service and very high quality, consistently very good food! Good beers.